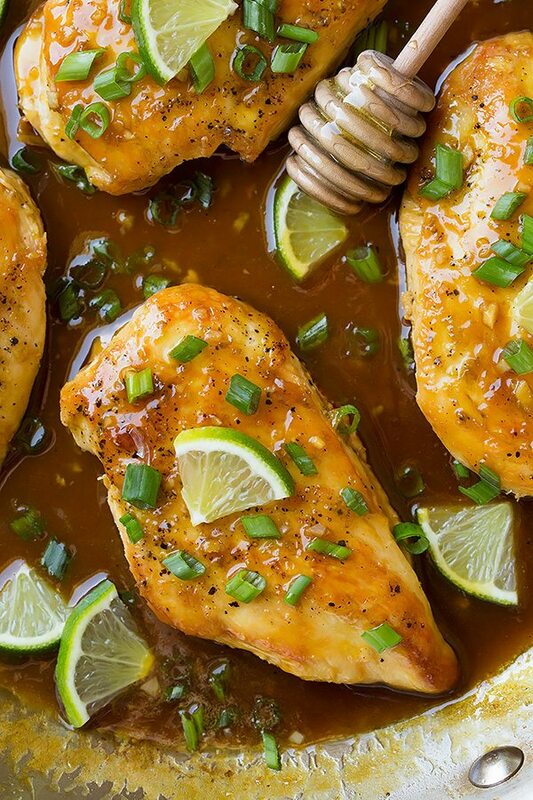 This Skillet Honey Lime Chicken comes together in 30 minutes and requires no marinating. It pairs perfectly with rice and your veggies of choice. I bet this will be part of your weekly meal rotation in no time! 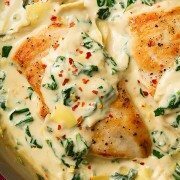 You know how I love my skillet chicken recipes! I love how quick and easy they are, yet if they’re done right the end result can be perfectly tender and perfectly flavorful. 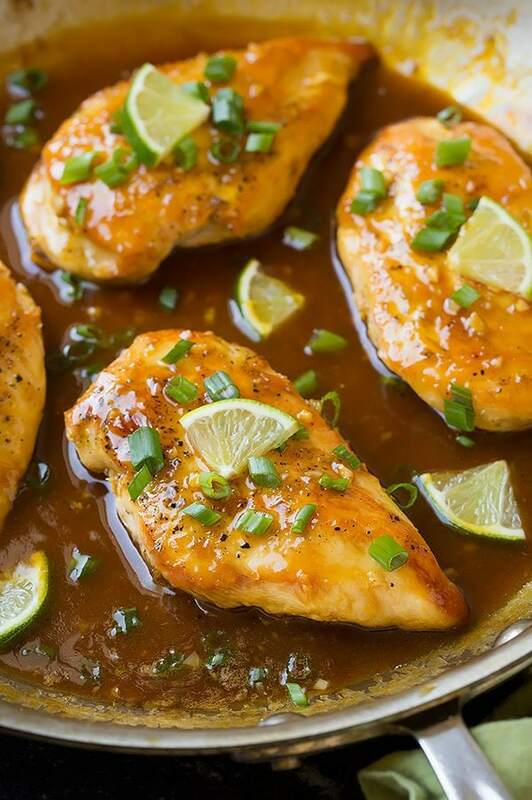 You wouldn’t believe how flavorful this honey lime chicken is! 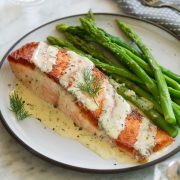 It doesn’t require any marinating, and it’s not even cooked in the sauce yet it is so vibrantly flavorful and you immediately notice that oh so delicious honey-lime flavor pairing. Like most of my skillet chicken recipes, I created this one to have a little extra sauce — the sauce here is perfect for serving with rice. Instead of just serving it with white or brown rice though, I highly recommend serving it with coconut rice — which is what I did (something like this recipe here). I’m still trying to figure out which veggie I’d like best with this skillet chicken breasts recipe. For the first time in a long while, I actually didn’t serve a veggie with our dinner because I was in a hurry. This easy chicken recipe is perfect for busy weeknights and I hope you and your family love this as much as my family did! It may even become a regular to your dinner rotation! In a liquid measuring cup, whisk together broth, cornstarch, soy sauce, honey, lime juice and zest. Season chicken with salt and pepper, then cook in oiled skillet until golden brown and cooked through. Transfer chicken to plate and cover with foil to keep warm. In the same skillet, sauté garlic with a little butter. Then stir in the honey lime sauce and cook until thickened. Return chicken to skillet and spoon sauce over top before serving. 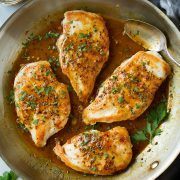 Can I Make This Recipe with Chicken Thighs? Yes, although you may need to adjust the cook time slightly depending on whether or not the thighs are boneless. Do I Have to Add Cornstarch to the Sauce? The cornstarch helps thicken the sauce and prevents it from being too runny. If you don’t have cornstarch on hand, you can use all-purpose flour instead. However, flour doesn’t thicken sauces as well as cornstarch so your honey lime chicken may be runnier than mine. For the brightest flavor, use freshly squeezed lime juice and not the pre-bottled kind. Whisk the cornstarch into a small amount of broth before mixing it with the rest of the sauce. This will prevent the cornstarch from forming clumps. 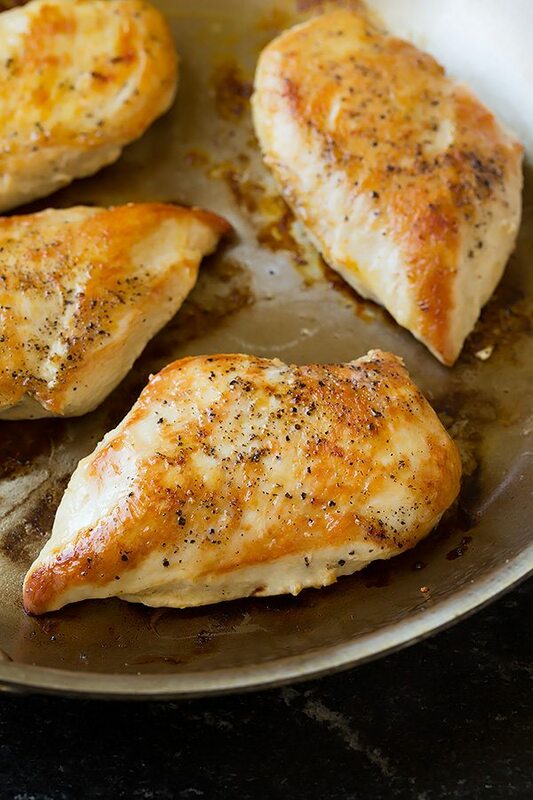 If your chicken breasts are thicker in some areas, pound them flat before cooking them. This will help the chicken cook at the same rate. Chicken breasts are pan seared to golden brown perfection then covered in a sweet and tangy honey lime glaze. A simple dish the whole family will love! Pour about 1 Tbsp of chicken broth into a small mixing bowl. Whisk in cornstarch. Pour in remaining chicken broth, lime zest, lime juice, honey and soy sauce. Whisk to blend, set aside. Pound thicker parts of chicken breasts to even thickness on using the flat side of a meat mallet. Season both sides with salt and pepper. Heat olive oil in a large skillet over medium-high heat. Cook chicken about 5 - 6 minutes per side until golden brown and cooked through. Transfer to a plate and cover with foil to keep warm. Melt butter in same skillet used to cook chicken over medium heat. Saute garlic until golden and fragrant, about 30 seconds. Whisk lime juice mixture once more then pour into skillet and cook and stir until mixture has thickened and reduced slightly, about 2 minutes. Return chicken to skillet, spoon sauce over chicken. Garnish with green onions an serve warm with coconut rice if desired*. *Follow link HERE for coconut rice recipe. Rice not included in nutrition listed here. 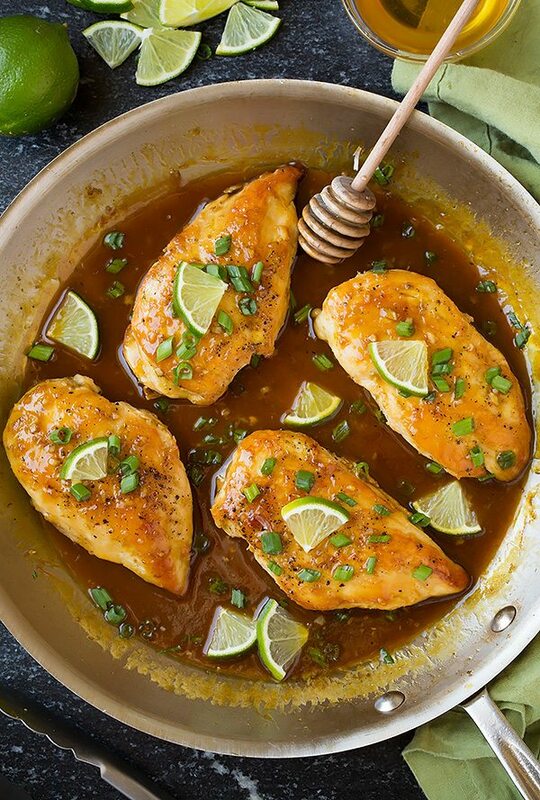 Claire Penn: Skillet Honey-Lime Chicken looks great but says to serve with Coconut rice. Do you have the recipe?